Apple Inc. has achieved success as one of the most valuable companies in the world. This Five Forces analysis gives insights about the external factors influencing the company’s success. Michael E. Porter’s Five Forces framework is a strategic management tool for evaluating the five forces affecting the business organization: customers, suppliers, substitutes, new entrants, and competition. A Five Forces analysis of Apple Inc. sheds light on what the company does to ensure industry leadership despite the negative effects of external factors in the competitive landscape of the computer software and hardware, consumer electronics, and online digital content distribution markets, which involve firms like Microsoft, Google, Amazon, Walmart, Samsung, Dell, Sony, and Lenovo. Established in 1976, Apple has succeeded to become a dominant competitor in the industry under the leadership of Steve Jobs. Based on this Five Forces analysis, the company addresses competition and the bargaining power of buyers, which are among the most significant external factors impacting the business. Also, this Five Forces analysis indicates that Apple Inc. must focus its strategic efforts on these two external factors to keep its leadership in the industry. This Five Forces analysis (Porter’s model) of external factors in Apple Inc.’s industry environment points to competitive rivalry or intensity of competition, and the bargaining power of buyers or customers as the primary forces for consideration in the company’s strategic formulation. Nonetheless, all of the five forces influence the company’s business situation, together with the effects of others external factors, such as the ones identified in the PESTEL/PESTLE analysis of Apple Inc. Considering the five forces, Apple must focus its attention on competitive rivalry and the bargaining power of buyers. This external analysis supports the company’s current position of continuous innovation. Through rapid and continuous innovation, Apple effectively addresses the five forces in its external environment, although much of the company’s effort is to strengthen its position against competitors and to keep attracting customers to Apple products. An applicable recommendation is to intensify research and development for innovation to develop novel products that will complement the iPhone, the iPad, and other existing products. Companies like Samsung and LG aggressively compete with Apple. Such aggressiveness, observable in rapid innovation, aggressive advertising, and imitation, impose a strong force in the industry environment. Moreover, in terms of product differentiation, available products in the market are generally similar in fulfilling specific purposes. For example, many popular apps are available for Android and iOS devices, and cloud storage services from different companies are available to iOS users. In Porter’s Five Forces analysis model, this condition creates a strong force by making it easy for customers to switch to other sellers or providers. On the other hand, the low switching cost means that it is easy for customers to switch from Apple to other brands, based on price, function, accessibility, network externalities, and related concerns. The combination of these external factors in this part of the Five Forces analysis leads to tough competitive rivalry that is among the most significant considerations in Apple’s strategic management. It is easy for customers to change brands, thereby making them powerful in compelling companies like Apple to ensure customer satisfaction. On the other hand, each buyer’s purchase is small compared to the company’s total revenues. Porter’s Five Forces framework indicates that this condition makes customers weak at the individual level. However, the availability of detailed comparative information about competing products’ features empowers buyers to shift from one provider to another. This external factor enables buyers to exert a strong force on Apple and other brands. Thus, this part of the Five Forces analysis shows that Apple must include the bargaining power of buyers or customers as one of the most significant strategic variables in the business. The global size of its supply chain allows Apple Inc. to access many suppliers around the world. In Porter’s Five Forces analysis context, the resulting high number of suppliers is an external factor that presents only a weak to moderate force against the company. In relation, the moderate to high overall supply of inputs, such as semiconductors, makes individual suppliers weak in imposing their demands on firms like Apple. Also, the ratio of firm concentration to supplier concentration further limits suppliers’ power and influence in the industry. This external factor reflects the presence of a small number of big companies like Apple and Samsung, in contrast to a larger number of medium-sized and big suppliers. Thus, this part of the Five Forces analysis shows that the bargaining power of suppliers is a minor issue in developing Apple Inc.’s strategies for supply chain management, value chain effectiveness, innovation, and industry leadership. 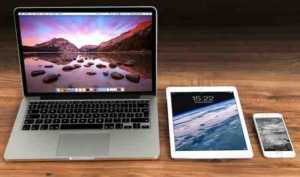 Some substitutes to Apple products are readily available in the market. For example, instead of using iPhones, people can use digital cameras to take pictures, and landline telephones to make calls. In Porter’s Five Forces analysis model, this external factor exerts a moderate force in the industry environment. However, these substitutes have low performance because they have limited features. Many customers would rather use Apple products based on convenience and advanced functions. This condition makes substitution a weak force in impacting the company’s business. Also, buyers have a low propensity to substitute. For instance, customers would rather use smartphones than go through the hassle of buying and maintaining a digital camera, a cellular phone, and other devices. This part of the Five Forces analysis shows that Apple does not need to prioritize the threat of substitution, specifically in management decisions in business processes like marketing, market positioning, and product design and development. Establishing a business to compete against firms like Apple Inc. requires high capitalization. Also, it is extremely costly to develop a strong brand to compete against large companies like Apple. These external factors make new entrants weak. However, there are large firms with the financial capacity to enter the market. For example, Google has already done so through products like Nexus smartphones. Samsung also used to be a new entrant. These examples show that there are large companies that have the potential to directly compete against Apple Inc. Thus, the overall threat of new entry is moderate. This part of the Five Forces analysis shows that Apple must maintain its competitive advantage through innovation and marketing to remain strong against new entrants’ moderate competitive force. Chen, C. M., & Ann, B. Y. (2016). Efficiencies vs. importance-performance analysis for the leading smartphone brands of Apple, Samsung and HTC. Total Quality Management & Business Excellence, 27(3-4), 227-249. Gershon, R. A. (2013). Digital media innovation and the Apple iPad: Three perspectives on the future of computer tablets and news delivery. Journal of Media Business Studies, 10(1), 41-61. Mozur, P. (2013, April 24). Apple Faces Dilemma Over Strategy in China. The Wall Street Journal. Ohrt, J., & Turau, V. (2012). Cross-platform development tools for smartphone applications. Computer, 45(9), 72-79. Sherr, I. (2013, September 21). iPhone Sales Test Apple Strategy. The Wall Street Journal.